Around 100 uprooted Tamil families from Thaangkiyadi in Mannaar have been denied resettlement in the lands where they were living before they were uprooted in 1990. 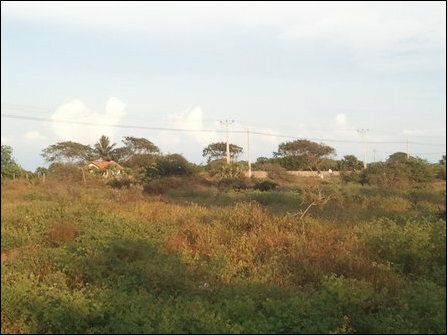 The relatives of SL Minister Rishad Bathiudeen at Thaaraa-puram have occupied the 48-acre land. There is no one to voice for the resettlement of the poverty-stricken families from the lower echelon of the society, rights activists in Mannaar said. “No-one dares to fight with Rishad Bathiudeen who hails from Thaaraa-puram, the nearby village,” a displaced Tamil villager, who visits the temple once a week, told TamilNet on Wednesday. 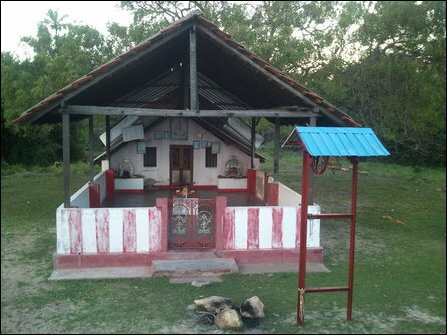 The small temple is the only trace of the Tamil settlement at Thaangkiyadi situated 7 km north of the city on Mannaar - Thalaimannaar A14 Road. The SL Minister's men who have occupied the lands now claim that they have ‘original land deeds’ for the lands appropriated from the Tamil families. The Tamil families were living at Thaangkiyadi for several decades since the establishment of railway line to Mannaar by the British colonial government. Most of these families, numbering around 90 units, were labourers employed in the Ceylon Government Railway to look after the railway track. 10 other Tamil families, practicing soothsaying and basket weaving, had also joined them in the settlement at Thaangkiyadi, which is also known as Kaangkiyadi. 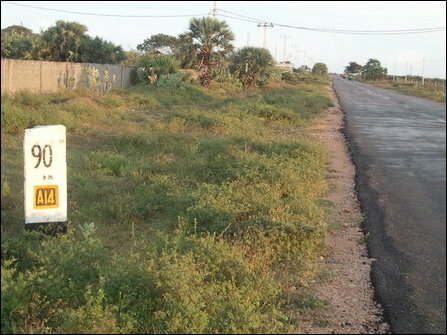 The so-called Jihad paramilitary, which was collaborating with the occupying SL military chased out the Tamil villagers from their settlement in 1990 at a time when the genocidal State in Colombo had succeeded in creating armed Muslim paramilitary groups against the Tamils and the LTTE evicting the Tamil-speaking Muslims from Jaffna and Mannaar. 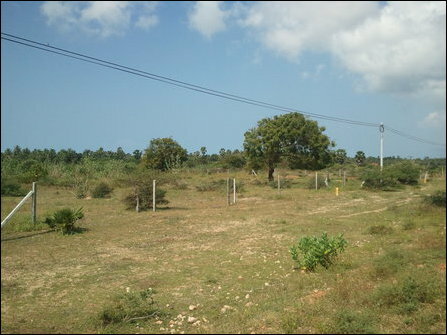 SL Minister Risath Bathiudeen's men, who claim to be the owners of these lands, have put up border stones and fenced off the land. 25.04.15 Investigate SL Minister Bathiyutheen along with Ba..
15.04.15 SL Minister's men occupy lands of uprooted Tamils ..